A UN Member State since 1955, Albania’s presence into the United Nations System has strengthened and expanded over years. Member of the Economic and Social Council (ECOSOC) in 2007, it has chaired and co-chaired various committees, commissions and other important bodies. From a country that needed UN approved military assistance in 1997, Albania has now become a troop-contributing country participating in five UN or other framework peacekeeping missions throughout the world. Promoting regional cooperation, stability and understanding is a fundamental element of the Albanian foreign policy. 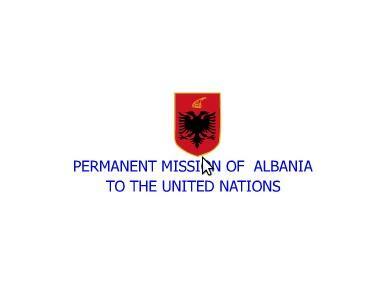 Building on this record and desirous to assume greater responsabilities, Albania has announced its candidature to become a non-permanent member of the Security Council for the term 2022-2023. It has also presented its candidature for a seat to the Human Rights Council for the term 2014-2017. These pages offer an overview of Albania’s priorities at the United Nations which are based and guided by our commitment to effective multilateralism and international law, national priorities and the evercloser relationship with the European Union to which Albania has appied to become a member on April 28th, 2009. Albania supports and advocates the overall reform of the UN, including the reform of the Security Council, the revitalization of the work of the General Assembly, an increased cooperation to combat all forms of terror, measures to deal with the climate change and it devotes particular attention to the Dialogue of Civilisations. A pilot country within the UN Delivering as One project, Albania also recognizes the need to revive the global commitment to the Millennium Declaration, as well as to other important internationally agreed upon development goals.